“Latin America will be one country”. This was the idea with which Che had come to fight in Bolivia and for which he sacrificed his life, as Guido “Inti” Peredo explained in his messages while working tenaciously to rebuild the National Liberation Army. The historic and at the same time revolutionary value of the conversations of Maria del Carmen Garcés with today’s general Harry Villegas Tamayo is enormous. In the abundant literature on Che’s guerrilla, this book stands out for reviving with exceptional fidelity its political program, its deeds, its ideas, its spirit and – its respect! – its incredible morale. One of the most striking things in this book is precisely the constant presence, in the life and action of the guerrilla, of the morale factor with its two aspects which, in Che’s words, “complement each other” – “a morale as to the ethical sense of the word and another in its heroic sense “- as a fundamental weapon of every true revolutionary movement. Pombo, from Yara to Ñancahuazú, restores the truth against so many lies and so much petty discourse that they have accumulated distorting, dwarfing and trivializing the history of the Bolivian guerrilla. “We do not always have to wait for all the conditions for revolution; the insurrectionary foco can create them.” This was another of Che’s fundamental ideas. How much had been said that the fate that the guerrilla ran in Bolivia denied and buried forever! From Bolivia, within the framework of an incredibly bold strategy for the continental revolution, the internationalist guerrilla under his command had to contribute decisively to the development of the revolutionary movements in the Southern Cone and to coordinate or unify all these movements on a Latin American scale. By creating “two, three … many Vietnams” on an even wider plane -the tricontinental- it was possible to give the imperialist superpower an irreversible defeat. 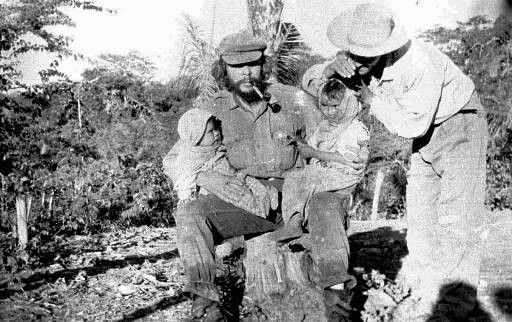 When Che and his fellow Cubans, Bolivians and Peruvians fought in Bolivia, the great majority of revolutionary movements and left-wing organizations from all Latin American countries met in Havana at the conference of Latin American Solidarity Organization (OLAS). The Cuban delegation, explaining in its report that the objective was “to elaborate a common strategy to fight against Yankee imperialism and the oligarchies of bourgeois and landowners” and exposing the strategy of the continental revolution, he claimed “the Bolivarian ideology of conceiving Latin America as one and great Fatherland. “ Deepened by José Martí, “today the continental conception of a single Latin American people has been strengthened,” he said. The Cuban delegation presented at the conference an “evident fact that has not been evaluated in all its dimension: never before has such a large group of people been known, with such a large population and a vast territory, cultures so similar, interests as similar and anti-imperialist purposes identical. Each of us feels part of our America. We learned this from historical tradition; as our ancestors bequeathed to us, as our heroes taught us! None of these ideas is new to the representatives of the revolutionary organizations of Latin America. But have we sufficiently appreciated what these events represent? Reading, studying, discussing and disseminating this book, in Latin America and in any other region of the world, is to politically, ideologically and morally rearm ourselves. Years ago we were in contact, we exchanged emails. The contact between us was an initiative of Celia [Hart]. 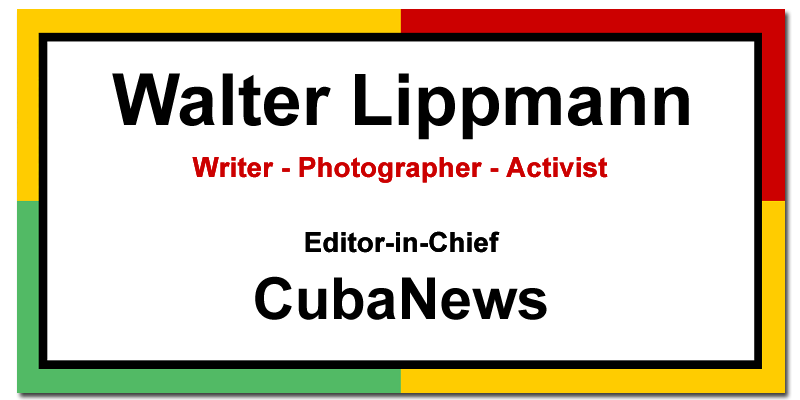 From the very beginning (specifically since the reporting of [NY Times writer Herbert L.] Matthews) I followed the Cuban revolution and was politically formed largely under its influence. In 1967 I won an international contest by Radio Havana Cuba (they rewarded my essay Che’s Message to the Tricontinental) and I was invited to Cuba; It was my first trip. Worked on the guerrilla movements in Latin America, published a book on them in Poland (left in 1978). In the second half of the 1970s I spent four and a half years in Cuba, helping to train translators at the Pablo Lafargue Institute. I was a leader of the Solidarność trade union (a member of the Lodz Regional Executive, then one of the most important industrial centers in Poland). The establishment of the state of war in December 1981 surprised me in France where I was traveling, so I spent the 1980’s in exile in France. Then I came back and now I’m living in Poland. Since 1981 I have been a member of the Fourth [International]. Between 2005 and 2013 Militant in the Polish Labor Party (PPP), an almost purely labor party in its composition, created by a combative minority union that comes from a split from Solidarność and is called Free Trade Union “August ’80”. I was secretary for programmatic affairs of this party. The party was not maintained and in the long run and disappeared, while the union remains active. At various stages of my life I tried to promote some work of solidarity with Cuba, although conditions there were never conducive. In People’s Poland there was no official work of solidarity, beyond a purely bureaucratic facade, and all unofficial political work provoked an intervention by the political police. During the 1990s. There were very strong anti-Cuban bells here, both in the media and, indeed, in the State. Since the year 2000 I took a whole series of initiatives in this area, there was some development of a solidarity association, I was a member of its leadership, but the association disintegrated little by little. Then I had support from the Polish Labor Party for a job in Cuba, but finally, at the beginning of this decade, all work of solidarity with Cuba, which was already becoming smaller and more marginal, became extinct. If you translate my text on the book of Maria Garces I will check it, evidently. Hace anos estuvimos en contacto, intercambiamos mails. El contacto entre nosotros fue una iniciativa de Celia. Desde el comienzo (concretamente desde el reportaje de Matthews) segui la revolución cubana y me forme politicamente en buena medida bajo su influencia. En 1967 gane un concurso internacional de Radio Habana Cuba (premiaron mi ensayo sobre el mensaje del Che a la Tricontinental) y fui invitado a Cuba; fue mi primer viaje. Trabaje sobre los movimientos guerrilleros en America Latina, publique en Polonia un libro sobre ellos (salió en 1978). En la segunda mitad de los 70 pase cuatro anos y medio en Cuba, formando traductores en el Instituto Pablo Lafargue. Fui dirigente del sindicato Solidarność (miembro de la ejecutiva de la dirección regional de Lodz, entonces uno de los mas importantes centros industriales de Polonia). La instauración del estado de guerra en diciembre de 1981 me sorprendió en Francia donde me encontraba de viaje, asi que pase los anos 80 en exilio en Francia. Luego volvi y estoy viviendo en Polonia. Desde 1981 soy miembro de la Cuarta. Entre 2005 y 2013 milite en el Partido Polaco del Trabajo (PPP), un partido casi puramente obrero en su composición, creado por un sindicato minoritario combativo que proviene de una escisión de Solidarność y se llama Sindicato Libre “Agosto ’80”. Fui secretario para asuntos programaticos de este partido. El partido no se mantuvo a la larga y desapareció, mientras que el sindicato sigue activo. En varias etapas de mi vida intentaba promover algun trabajo de solidaridad con Cuba, aunque jamas habia condiciones propicias. En la Polonia Popular no habia ningun trabajo oficial de solidaridad, mas alla de una fachada puramente burocratica, y todo trabajo politico no oficial provocaba una intervención de la policia politica. durante los anos 90. hubo aqui muy fuertes campanas anticubanas, tanto de los medios como, de hecho, del Estado. Desde el ano 2000 tome toda una serie de iniciativas en este terreno, hubo algun desarrollo de una asociación de solidaridad, fui miembro de su dirección, pero la asociación se desintegró poco a poco, Luego tuve apoyo del Partido Polaco del Trabajo para un trabajo Cuba, pero finalmente , a comienzos de esta decada, todo trabajo de solidaridad con Cuba, que ya era cada vez mas reducido y marginal, se extinguió. Si traduces mi texto sobre el libro de Maria Garces lo verificare, evidentemente. Dionisio de Jesús Valdés Rodríguez, known as “Chucho” Valdés, celebrates his 77th birthday and continues to give glory to our country. If Bebo Valdés is of Cuba, so is his son Dionisio de Jesús Valdés Rodríguez, known as “Chucho” Valdés, who, this October 9, the date of his father’s centenary, will be 77 years old. Both were born in the municipality of Quivicán: both of us. A friend recently told me: Bebo and Chucho Valdés put this town, in the province of Mayabeque, into the category of Grammy town. How many towns in the world, with an average of 20,000 or more inhabitants, have Grammies that add up to those two? Together they total eleven awards between Grammy Latino Awards and the Latin Grammys. And, if the father is an obligatory reference in the history of Cuban music, the son is no less so. He is a pianist, composer, music teacher, musical arranger and director. 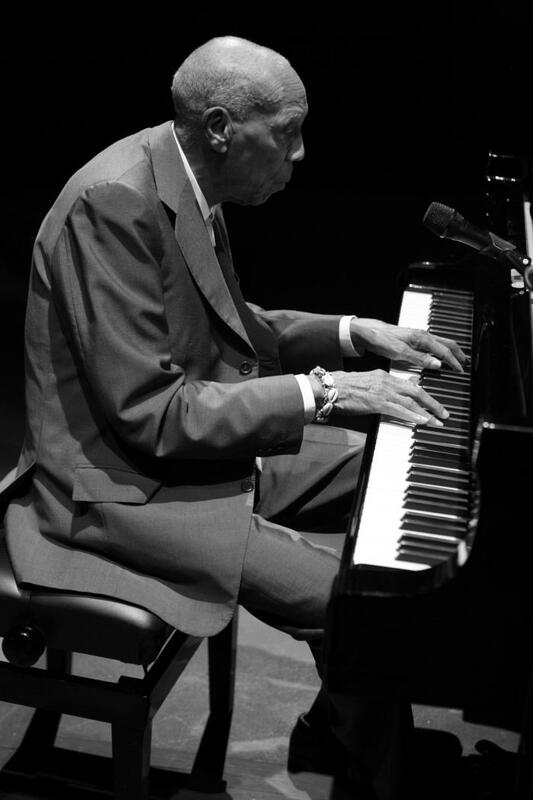 His work is distinguished by its Cuban nature and by his being among the best jazz musicians in the world. As a pianist, he also ranks among the best. He is a master in all genres, both jazz, classical music and popular dance music. 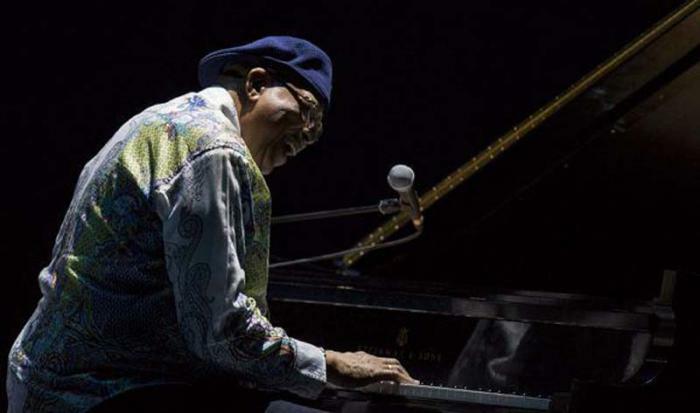 With Irakere, considered by many to be the most important Cuban music group of the second half of the 20th century, which Chucho founded in 1973, he patented a label very hard to beat in contemporary and future Cuban music. Here are his songs Misa Negra and Bacalao Con Pan (Black Mass and Cod with Bread). In 2002, together with Leo Brouwer, he won the first National Music Award. In 2006 he was appointed Goodwill Ambassador of the Food and Agriculture Organization of the United Nations (FAO). He has been granted a Doctor Honoris Causa by prestigious Berklee College of Music in Boston, the University of Victoria in Canada, and by the University of the Arts (ISA). He also holds the Félix Varela Medal of Cuba, the keys to the cities of San Francisco, Los Angeles, Madison and Nevilly in the United States and Ponce in Puerto Rico. His time at the world’s greatest jazz festivals has been overwhelming. With his new group, The Afro-Cuban Messengers, “Chucho” Valdés continues to give glory to our country. It cannot be otherwise for the one who played a very important role in the crystallization of the orchestral style with which vernacular music reached its purest expression around the middle of the last century. It cannot be otherwise for the one who played a very important role in the crystallization of the orchestral style with which popular music reached its purest expression around the middle of the last century. 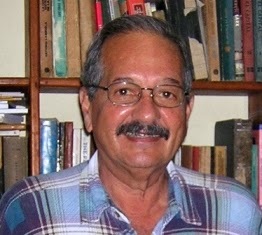 Ramón Emilio Valdés Amaro is from Cuba. Not even the decades in which he lived far away, first in Sweden and later in Spain, did he cease to be ours or to promote Cuban music. One hundred years after his birth on October 9, 1918 in Quivicán, Bebo Valdés is from Cuba. It cannot be otherwise for those who played a very important role in the crystallization of the orchestral style with which popular music reached its purest expression around the middle of the last century. At the same time, he contributed substantial values to the development of the Cuban descarga [jam session], the most imaginative and endearing variant of the criollization of jazz. Between Dámaso Pérez Prado, Chico O’ Farrill and Armando Romeu, plus Benny Moré’s genius as a free and unique electron. Without any academic training, he molded a band tailored to his desires. Bebo occupies a place to which, time and time again, it will be necessary to return to find the keys to the height reached by insular music and its continental projection in the 1950s. Bebo’s trademark was the Sabor de Cuba orchestra, with which he worked on the Tropicana cabaret, alternating with that of Armando Romeu, between 1949 and 1957; They recorded memorable sessions, as well as accompanying leading Cuban and foreign figures, including Rita Montaner and Nat King Cole. In 1952, he created the batanga rhythm, whose renovating approaches were not deciphered by the record and entertainment industry, but whose traces became a reference for much of what has happened since then in the evolution of both Cuban jazz and timba. By the way, the initial recordings of the new rhythm included Benny Moré, who had just returned from Mexico and had not yet assembled his portentous giant band. He ended up in Mexico in 1960, where he collaborated for a while with Chilean Lucho Gatica, whom he knew from Havana. Then he settled in Europe. He left his family behind and founded another in Sweden. He never understood the changes that took place in his native country. But not even in the days of making a living in Swedish restaurants and discos did he stop thinking about music in Cuban terms. So much so that, at age 76, as someone said, he reinvented himself when he was called to record in New York. That’s the Bebo who begins to ride again, in the airs of Latin jazz, albums like Bebo Rides Again, and movies like Calle 54, his fabulous union with singer Diego el Cigala and the reunion with his son Chucho Valdés in the album Juntos Para Siempre. But I would like to point out what researcher Rosa Marquetti has said: “It would be a capital mistake to reduce the importance of Bebo Valdés in Cuban music, to the international boom that reached its revival with the album Lágrimas Negras (Black Tears). In any case, his world recognition achieved in the last decade of the twentieth century was a deserved culmination of a career that crosses a century and more in Cuban music. He has his own outstanding place among the best orchestra conductors, composers and pianists of transcendence, and is one of the most creative arrangers in the entire history of our music. That is the Bebo who, in his centennial year, I would like to remember, and that, without a doubt, over and above the anecdotal, legitimately belongs to us. The Cuban community residing in South Florida, in the United States, mainly in Miami Dade County, is returning to the state of great anxiety and fear. These are traditionally imposed by the Cuban-American extreme right and its sponsors from the American terrorist extreme right. Numerous and widely-publicized visits by special agents of the Federal Bureau of Investigation have been made to the homes and workplaces of Cuban émigrés in Miami. Those visited have been, for many years, activists for the improvement of relations between the peoples and governments of the United States and Cuba. Now they have reason to be alarmed. The local media and even the U.S. national media speculate about the reasons for this intimidating campaign by the federal government’s main counterintelligence agency. On September 12, the FBI published an article in the Miami Herald and El Nuevo Herald, stating that the reason for such warning visits was “to send to the Cuban government the message that the FBI is looking for and watching Cuban spies who might be infiltrating the United States. Andrés Gómez, director of the Areitodigital website, based in Miami, has written that this FBI campaign is for political reasons. “In the first place, it’s because a decisive mid-tern election is about to be held on November 6. Control of both houses of Congress is at stake, as well as the future of the Trump Administration and the Cuban-American extreme right in Washington. The director of Areitodigital believes that it could also be to warning against the electoral triumph in the mid-term elections on November 6 of candidates more in tune with the new policy toward Cuba laid out in Miami by President Barack Obama in December 2014. In the national political environment, and in Florida in particular, there is a close electoral contest for governor between the progressive African American Democrat Andrew Gillum and the racist and reactionary Republican Ron DeSantis. It is feared that African American voters and progressives who do not normally participate in elections will be motivated to go to the polls to give electoral triumph to the most liberal and progressive candidates. That’s what might be motivating the FBI’s current intimidation campaign, notes Andres Gomez. The official statement issued by the FBI says that “in the course of performing our duties, the FBI -on a regular and open basis- interacts with members of our communities to enhance the mutual trust necessary to combat potential criminal activities and possible threats to our population. 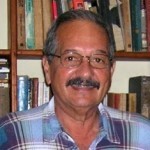 It would have been good for Gomez to point out that the objective of all fifteen presidents of the United States since the triumph of the Cuban revolution, including Obama, has been to liquidate the example of effective independence and socialism that is Cuba. Of them all, Trump’s government is the one that contributes the least to those perverse imperialist ends, because he exposes it so brazenly.